Confirmation in the United Methodist Church is a sacred occasion. 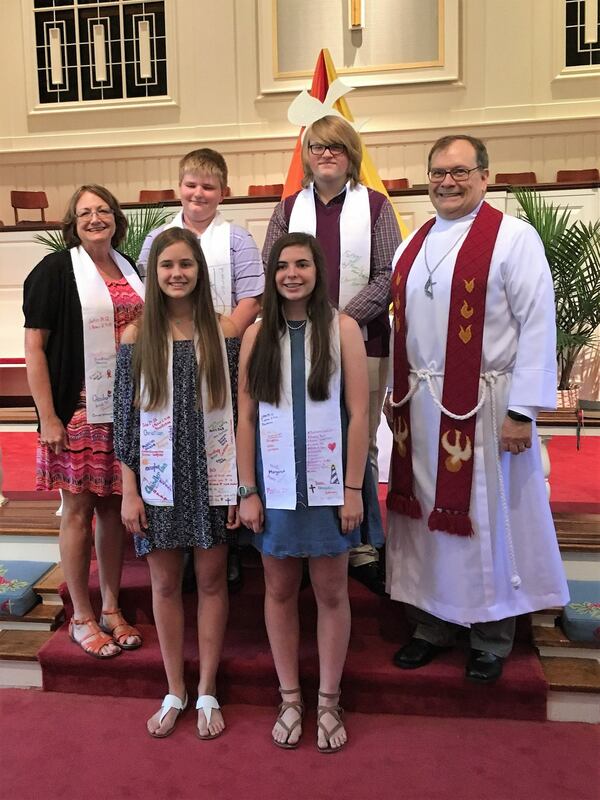 For some young people, confirmation represents a maturity of faith that allows the youth to claim the baptismal vows made by family on their behalf during infant baptism. For those not already baptized, confirmation includes the sacrament of baptism and the outpouring of God's love. During the confirmation service, young people claim their love of God through Jesus Christ in their life as they become members of the church. We believe that young people should know what they are saying in this ceremony, what it means to be a member of the church, and what it means to be a disciple and a growing Christian.